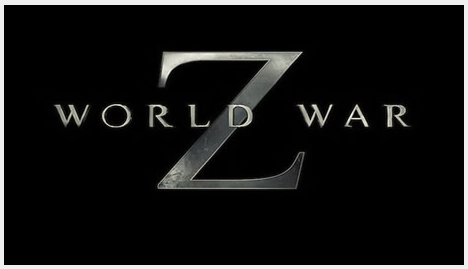 I feel it necessary to say a thing or two prior to breaking down the World War Z trailer. First and foremost, I don’t think I am going to like this movie. Further, I don’t think anybody who appreciates the World War Z novel will be automatically inclined to enjoy this movie, which has long since languished in development hell. Were it called “Handsome A-Lister does a horror flick to finance his new summer home” I’d be content to take it for what it is and enjoy the slaughter. 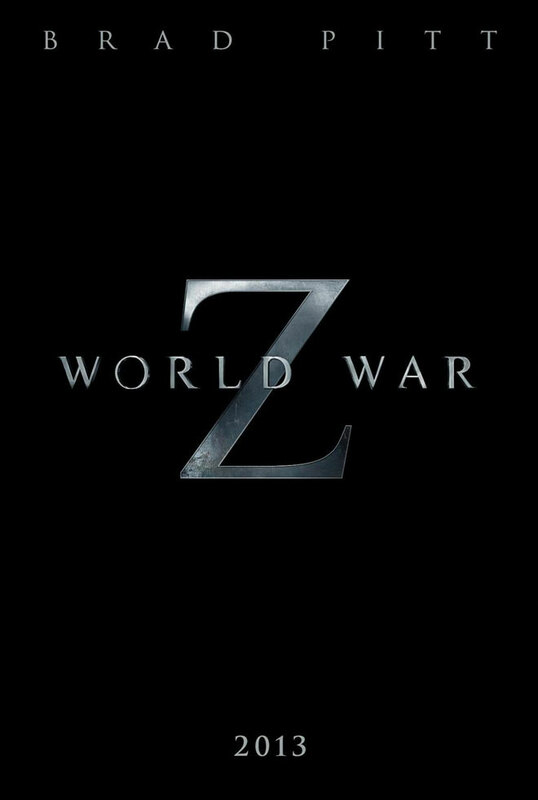 The World War Z name, and requisite literary expectations, produces some very unique challenges for cinematic adaptation. There are perhaps two proven screen formats to make Max Brooks’ novel work on the big screen. The first method would be producing a faux Ken Burns style documentary. Alternatively, WWZ could work within a District 9 approach. Why these two styles? Because the full title of the novel is World War Z: An Oral History of the Zombie War. As such, the book is a collection of short stories told through a first person narrative. Typical Hollywood writing does not lend itself to such an approach. Moreover, Brooks’ book uses zombies as a means of exploring some very big and very uncomfortable ideas. Working with only the trailer as a point of reference, I don’t envision myself setting aside my devotion to the book where I can appreciating the film, such as it is. Then again, my preconceptions have led me to feasting upon crow on a few occasions. On paper World War Z has some decent credentials. Marc Forster is certainly a capable director, despite Quantum of Solace. If twitter is to be trusted, people seem to like Damon Lindleof’s writing; though I don’t know I’ve quite forgiven Lindleof for Cowboys and Aliens. Anyway, enough with the foreplay. Here’s the trailer. We open on Brad Pitt and his family stuck in traffic. To pass time, the Ubermensch clan is engaged in some sort of guessing game. If at this point you’re hearing a shattering sound in the background, it’s just the trailer smashing my suspension of disbelief into elementary particles. Having once been stuck in Manhattan traffic with my family, I can safely say this scene is short at least nineteen colourful swears and a cacophony of honking horns. Also, I don’t know much about motorcycles, but it seems to me that the immutable laws of physics would come into play if a person so mounted smashed the window off a stationary car. I once clipped a car’s side mirror on my bicycle. The resulting impact caused me to turn the handlebars so much I ended up riding on the sidewalk. It seems the only take away message for the trailer’s first forty-seven seconds is Brad Pitt as the white Cliff Huxtable. You may recognize this character from other movies such as 2012 and The Day After Tomorrow. Forty-eight seconds into the trailer we bear unfortunate witness the next evolution of the Inception “Bwangh”. I thought the Prometheus scream was bad, but the WWZ buzz is even more obnoxious. Dear trailer makers of the world, please stop. I beg you. Amid the low frequency whines, I was reminded of some very good writing advice I received from D.F. McCourt, the editor of AE – The Canadian Science Fiction Review. Therein he said an effective writer never puts emotion before action. Yet it takes this trailer a full minute and nineteen seconds before it even hints at the cause of society’s descent into madness, thus finally giving us some action. Prior to the shot of zombies storming over a bus like a wave breaking on rocks – though there’s nothing but foreknowledge of the franchise to confirm these are indeed zombies – everything in this trailer is emotion. But since all of those shots are derivative of big budget “end of the world” movies from the last ten years, the pathos is tedious, and Pitt’s character seems worn and trite. Even as Brad Pitt and his family make a rooftop egress, there are no real visual cues screaming “Zombies!” I don’t have many kind words for the Resident Evil movies, but at least they know how to sell a zombie as a zombie. Instead this trailer just shows people running. Are North Americans really so fat as to justify running, the only thing these zombies do within the trailer, as a source of soul wrenching fear? If Paramount wants me to forget about the book and accept the movie as is, they should cut the trailer in a way which clearly demonstrates the zombie threat. The guy who directed Monster’s Ball is cribbing from Paul Verhoeven’s Starship Troopers. What…the…hell? More to the point, why do the CG bugs from 1997 look more menacing than a CG zombie horde from 2012. Something is amiss here. All I see within the trailer is a shallow and incongruous attempt to portray the book’s Battle of Yonkers and the zombie siege of Fortress Israel. I don’t want to get into a fight about fast versus slow zombies, but the slow zombies of the novel allowed for the Battle of Yonkers to become a criticism of modern military practices as well as a spec-fic study of American war fatigue in the aftermath of Afghanistan and Iraq. Similarly, the Fortress Israel story was a discussion of Middle-East tensions and a true “Othering” of Palestinians within an Israeli world view. Yes there were zombies and brain eating, but there were also questions of agency and a degree of geopolitical depth. Nothing in the trailer gives me a reason to expect any level of meaningful social critique from within this movie. World War Z presents itself as an action movie cut from the same sub-par marble which formed the basis for a great many of the last decade’s disastrous disaster movies. 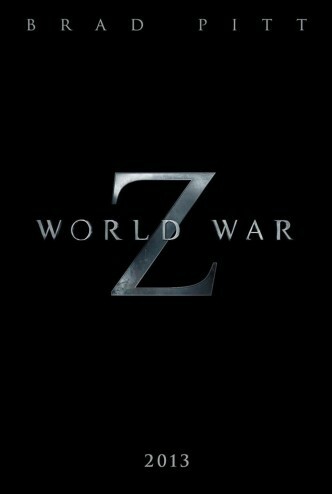 Unless this trailer is a complete miscarriage of the movie’s actual story, I predict World War Z to be one of 2013’s biggest critical, possibly even commercial, flops. Great criticism that North America having to actually get up and run from zombies is more terrifying than the zombies themselves. I would have loved for this to be a 10-part HBO miniseries, one hour each done by a different writer and director with one actor as Brooks tying it all together. Biggest worry? They muck up what happened in North Korea. That part of the book chilled me. I worry it will be screamed by some General in a brightly lit room colour-corrected to blue while a Michael By-esque camera movement sweeps through to finish with a JJ Abrams lens flair.